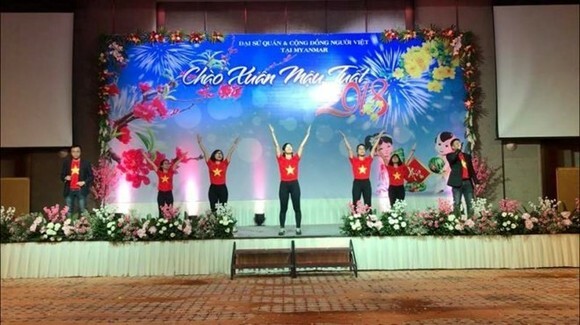 More than 500 Vietnamese expatriates in Myanmar have joined in a celebration for Tet (Lunar New Year) festival recently held by the Vietnamese Embassy, enterprises and Vietnamese people community. Delivering warm Tet greetings to the Vietnamese expats, Ambassador Luan Thuy Duong informed the participants of Vietnam’s achievements in 2017 like economic growth, corruption fighting and APEC Year 2017 as well as the sound bilateral relations with Myanmar. She called on Vietnamese businesses and people in Myanmar to strengthen solidarity, obey rules and respect culture of the host nation. 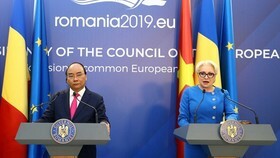 They should join hands to popularise Vietnam’s images to Myanmar friends, making contributions to nurturing the comprehensive cooperative partnership between the two countries, she said. 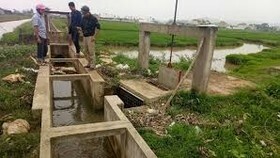 The Vietnamese diplomat noted that the embassy stands ready to support Vietnamese companies and people in Myanmar. Meanwhile, the Vietnamese Embassy in Laos organised a reception on February 9 to welcome Tet holiday. 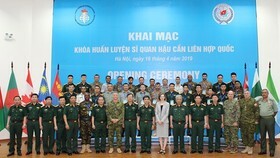 The event was attended by Lao Minister of Defence Chansamone Chanyalath, head of the Lao People’s Revolutionary Party Central Committee’s Commission for Propaganda and Training Kikeo Khaykhamphithoune, representatives from Lao ministries and authorities, Vietnamese expats and businesses in Laos. 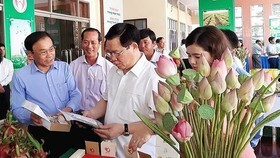 Vietnamese Ambassador to Laos Nguyen Ba Hung noted that cooperative relations between the two countries have been deepened in the fields of politics-diplomacy, security-defence, culture-education. 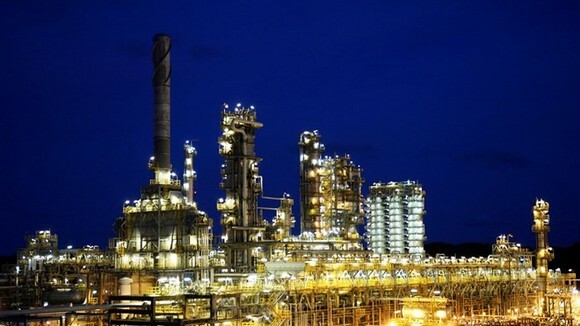 Particularly, 12 cooperative deals inked at the Vietnam-Laos Inter-Governmental Committee last month will create impetus for bilateral collaboration in the coming years. 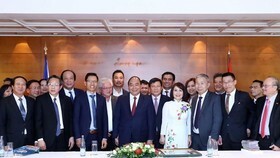 He hailed the Vietnamese community’s contributions to the socio-economic development in both countries and thanked the Lao Government for creating favourable conditions for Vietnamese nationals living and doing business in Laos. 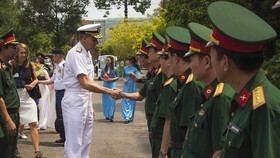 For his part, Lao Defence Minister Chansamone Chanyalath congratulated Vietnam on its achievements in national construction and socio-economic development. He expressed his deep gratitude for Vietnamese Party, Government and people’s support for Laos during the national liberation, protection and development. He affirmed that Laos will accompany with Vietnam to nurture and preserve the special traditional solidarity founded by President Ho Chi Minh and President Kaysone Phomvihane. The function featured Vietnamese traditional dishes and art performances extolling Vietnam-Laos solidarity. Earlier on February 6, Lao Ambassador to the US Mai Sayavongs delivered New Year greetings to Vietnamese Ambassador Pham Quang Vinh and all staff of the embassy in Washington D.C.